At Webster Dental Care, our experienced dental team offers comprehensive dental services to our St. Louis patients of all ages. With more than 33 years of combined experience treating patients in the St. Louis area, our talented dentists provide individualized treatments to solve any dental need. We understand that most people dread going to the dentist, so our friendly and expert team work with you to make your visit enjoyable and anxiety-free, giving you a smile you will not want to hide! Your time and money are valuable, so our entire dental staff is committed to providing you with high-quality dental care at affordable prices. Our dentists treat every patient with care and respect to ensure you get the correct treatment to fix your dental concerns as quickly and easily as possible. Our practice is committed to providing comfortable, affordable care for a healthy, beautiful smile you are proud to show! 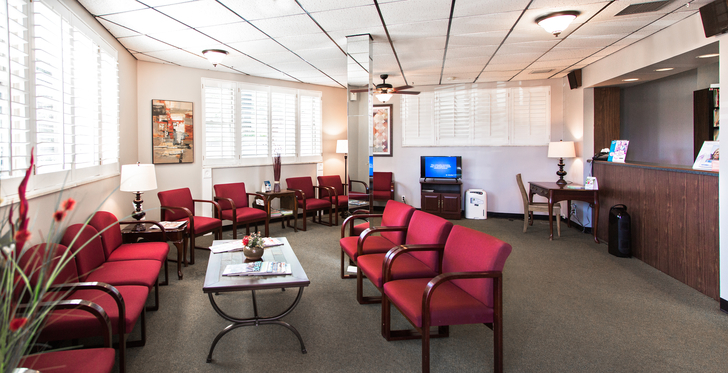 If you would like to request an appointment for anxiety-free dentistry, please contact our office in Webster today.